Have you ever worked in a restaurant? Big chances are yes. Did you find any problems with the daily tasks? Are slippery surfaces not the all-time disturbing one? I understand the feeling when you have to watch out for every single step. It’s truly a pain in the neck. I once fell off the floor too quickly that my brain was not even processing fast enough to know what was going on. It was totally a shame. Then, I still remember that I tried so bad to not let the slippery floor putting me down one more time. I succeeded. Don’t you want to know how I made it? C’mon, I want to show you how I made my shoes non-slip. Remember when you scuffed your brand new flashy and flawless Zippo to make it look more classic and easier to grip? This works almost the same. New shoes are nice with smooth outer and sole. But they are not meant to be used on slippery surfaces. If you really want to wear your shoes at work, you can scuff the soles to add more traction to your boots. It is easy. It doesn’t need any special devices or materials. You just need to find any abrasive surfaces and rub your shoes bottom on it. Take it easy and do it gently. You don’t want to damage the shoes because you scuffed the sole too much until they are very thin. Keep scuffing the soles till you can feel a little roughness on their surfaces. A little is enough. You will certainly notice a difference when you walk around tomorrow! Pro tip: Use a sand-paper, it also works very well! It is good that not only you and I realise the slip problems. 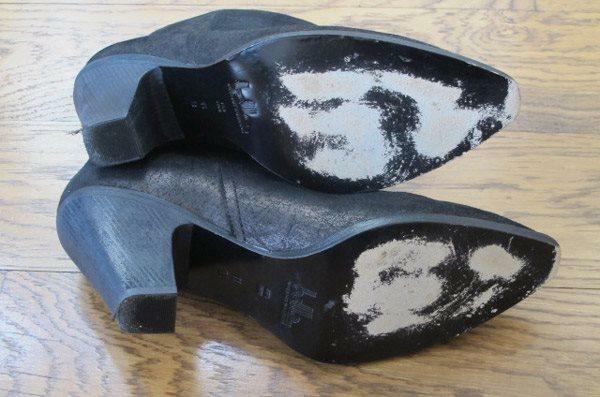 It is exactly the reason why some manufacturers offer traction sprays specially for shoes. 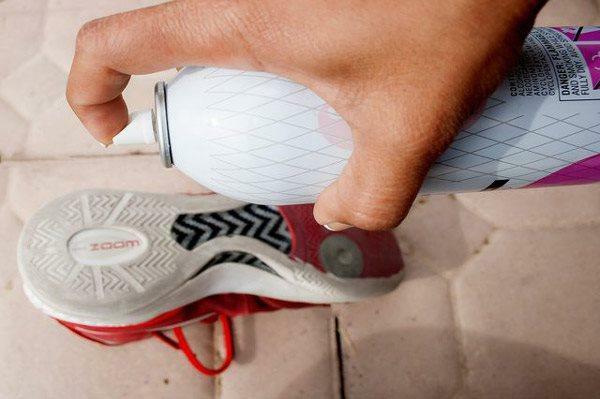 Shoe Adhesive Sprays greatly help out! They just work, as clearly stated, on “All Indoor and Outdoor surfaces” but not on ice, remember! I tested them myself and, yes, they worked perfectly in restaurants (without icy surfaces). You can easily grab them from Accessories Section in many shoe stores. Or, if you prefer something which has been tested and guaranteed that they work (by ME), you can buy one Shoe Grip Adhesive Spray from Amazon. Wait, what? You need it RIGHT NOW? Do you bring your hairspray? Yes? There you go. Use it. It helps momentarily. Spray a good amount on the soles like I was doing above. Make sure that you don’t use a coloured spray or your shoes may end up looking weird with unmatched colours. Let the sprayed matters dry on the sole by leaving your shoes upside down for a couple of minutes before wearing them back. Oh, and, STAY AWAY FROM FIRE when you are spraying (trust me, I tried spraying into fires when I was a kid, it was freakin’ dangerous)! Pro tip: Bring sprays with you, any types just work! Another solution is to reinforce your shoes with non-slip or slip-resistant soles. 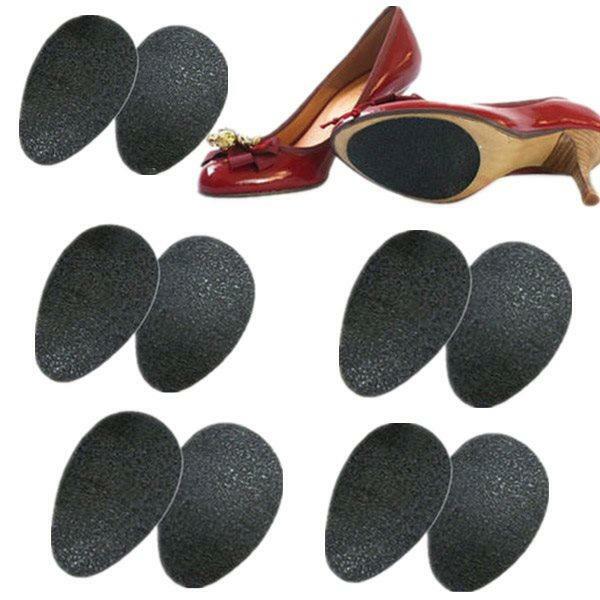 It works as if you scuff your soles since you are creating rough soles. But this is much better and last longer. For ones who walk a lot daily in restaurants, these non-slip pads can last for months before you need to change them. If you do not often walk too much, these can work well for years! Besides, these pads will add a relatively soft layer right under the soles. 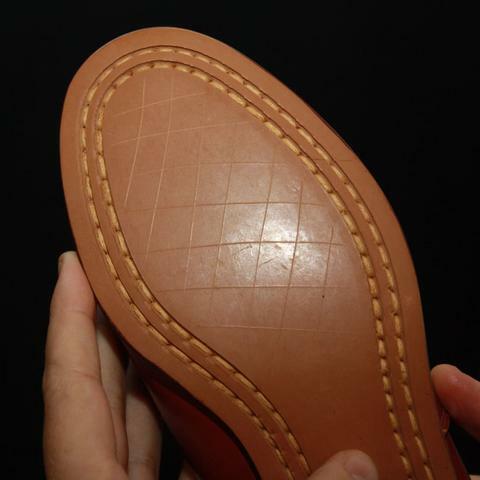 They, considered as an additional sole, will help increase shoes’ lifespan a remarkable amount. Also, they will help you avoid creating annoying “clack, clack, clack, clack” sounds when you are walking on hard (and slippery) floors like wooden or steel, especially with hard-sole shoes. Some may argue that “buying these will cost you, why don’t I use other FREE methods?” (other “free” method? Read from the top!). Yes, indeed, they will cost you when compared to other hacks that I am mentioning here. But, you will spend from $5 to $7 for each non-slip sole, I promise it will very possibly be the best trade you ever made to make your shoes become less or non-slip. Is it a great deal? No. Is it bringing a great deal? Yes, a lot of safety and pleasure! Back to the “almost-free” and “quick-fix” solutions, score the soles! What? No, it will not damage your shoes, trust me. You will not regret it. Do you have a nail file in your purse? If you are at home, brilliant, you must have a couple of knives in the kitchen. Either one of them, take it here. 3. If you are using a nail file, you can use it will a little more force. Make sure you can scratch the sole surface. You can realise that we are trying to “transform” the sole into a small piece very similar to a tyre’s surface. This rough, scratched, scored surface can generate a lot more traction than a flawless cutting-line-free sole. Now, enjoy your new fashionable shoes’ soles! Pro tip: Do it gently. Do it with any art patterns if you have the ability! Sounds strange, doesn’t it? 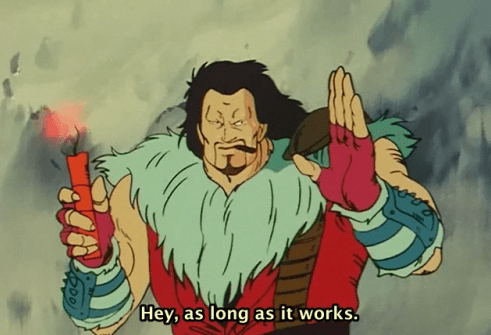 But, hey, as long as it works, it’s worth trying. In my experience, you will have to try this sometime. Because…you cannot do any different ways at the moment. Once I was in the kitchen of the restaurant waiting for new dishes to be served, I found that I might fall over because the floor was kinda slippery. Full of confidence, at that time I already knew some lovely tricks to improve my shoes but I started realising that I could not do them there. I could not rush out for 20 minutes to look for some non-slip pads, I did not bring my hairspray and there was a lot of fire in the kitchen, I could not find anything to rub the soles because everything in the kitchen was smooth and clean (except cooking stuff). Hmm, too bad. With a little help from her, I tried mixing some salt with a little amount of glue. Luckily, they had got glue there (maybe they did it all the time? I never asked). I then coated the grainy mixture onto the soles (shoes upside down, remember), enjoyed 2 minutes chit-chatting while the mixture was drying (coated on the soles, not in the bowl). It worked amazingly! I had never known that! 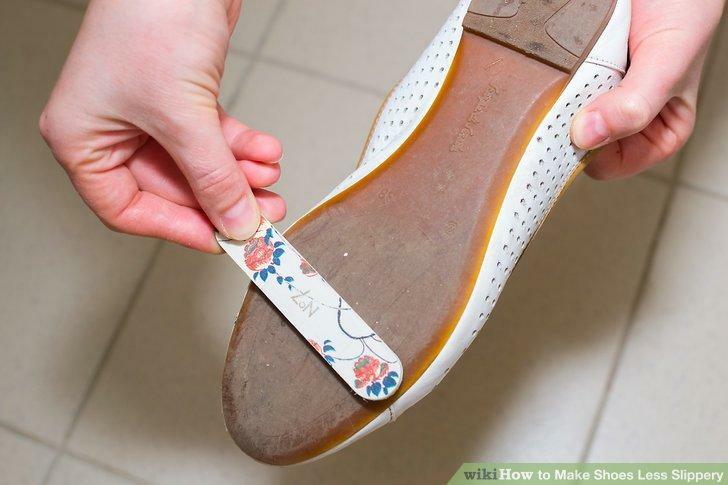 Now, with little help from me, you should try this hack immediately to make your shoes non-slip! 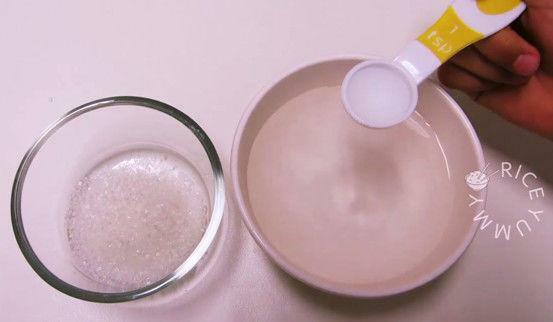 Pro tip: Medium- or big-size salt work better! But ice grips do. And if they work well on ice, they will work well on any other surfaces. They will certainly protect you from falling over due to slip floors. Not very fashionable, is it? It is fair to say no. You can find a couple of grips that match your shoes if you are lucky. But aren’t we looking for ways to make your shoes less slippery? Then, here, these work perfectly! These grips will provide A LOT of traction on ice, wooden or steel surfaces! 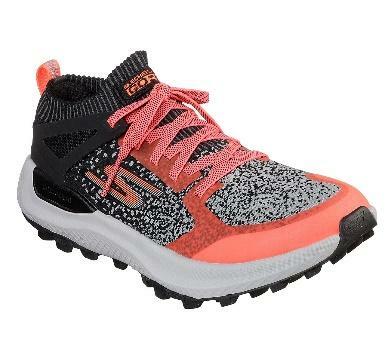 You can wear these with your shoes indoor and outdoor. They just work in any environments that other methods simply can’t or can but not very well. Pro tip: Buy ones that best fit your shoes to remain shoes’ integrity. Are your shoes non-slip? I bet they are. Are you happy now? I believe you are. Oh yes, I almost forgot. The 7, last but not least, the ultimate hack. Check them out right below. This is 100% guaranteed working! You might want to consider buying one or two slip-resistant shoes. I can’t help myself buying 3 pairs of them because they are on top of my must-have items to make my life easier! 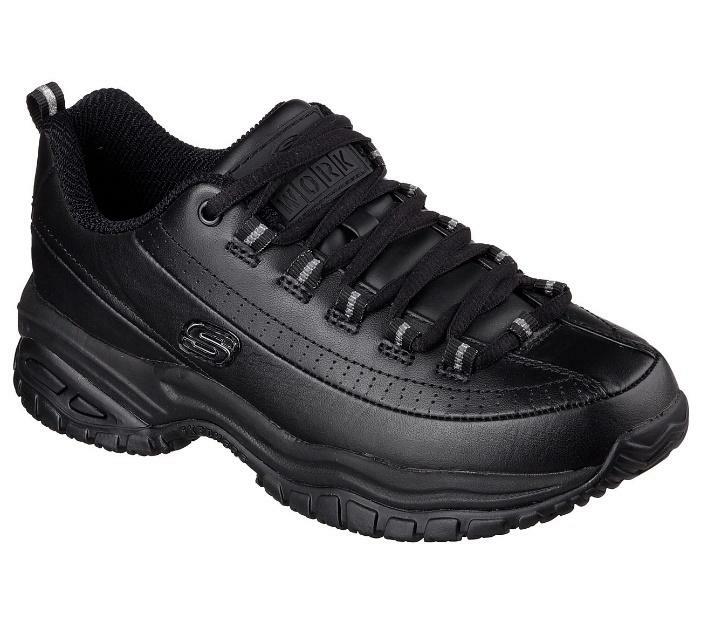 Below are my shoes for outdoor activities. And here are my shoes for running. 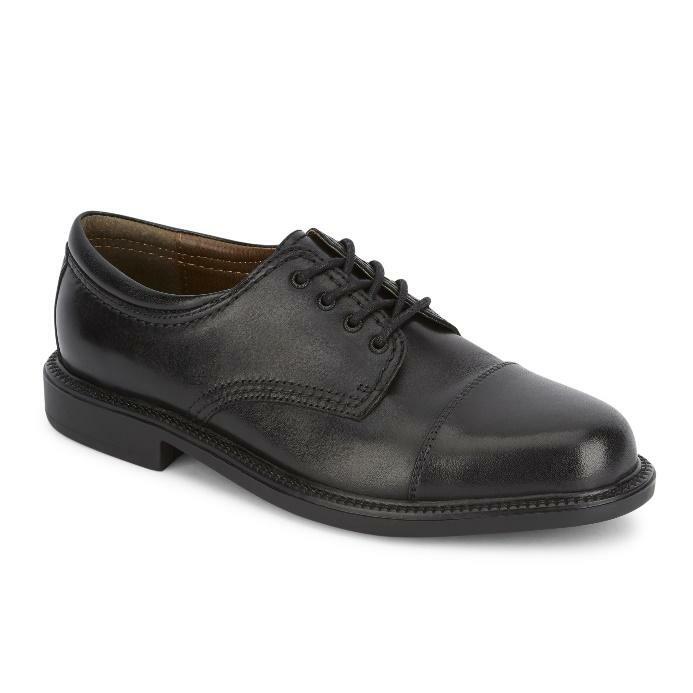 And the classic Oxford for work. All of them are slip-resistant. I totally forgot that I am living in an icy country, used to work in a restaurant with the super smooth wooden floor, often run on hard and slippery pavements; slip to me is just something vague! No jokes! 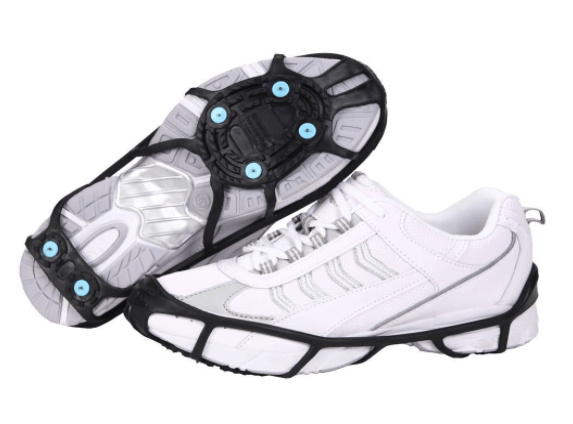 These shoes are specially designed which have durable non-slip soles. I personally enjoy them quite a lot. You bet you will too! Check them out now! I have tried many non-slip shoes models and come up with the best ones, check them out in my review: Best Non-Slip Shoes Brands in 2018 and buy one for you. You will love them very much like I am now. Promise!